In sports, a legend not only entertains the crowds on the field but often inspires a generation to follow suit. Serena Williams is no different: she, along with her older sister, has taken the game of women’s tennis to another level with their performances over the years. Serena’s raw power is brutal, her athleticism is unmatched, and her achievements in the game are colossal. She has inspired girls, not only in America but across the globe to take up tennis. Naomi Osaka is one such player. “She’s the main reason why I started playing tennis, and I have seen her on TV so many times, and I have always been cheering for her,” she said after defeating Serena at the Miami Open in March. Osaka’s family moved to the United States when she was only three. In third grade, she did I project about Serena. “I want to be like her,” she said at the school. Not many get the chance to face off against his/her idol in a major sporting event. Naomi did get her opportunity on last Saturday - the prize at stake was the US Open 2018. On the back of her mind she knew, to win her maiden Grand Slam, she had to deny her idol, Serena, a piece of history - Serena was chasing, a record 24th Grand Slam title. Serena was no match for her that night. 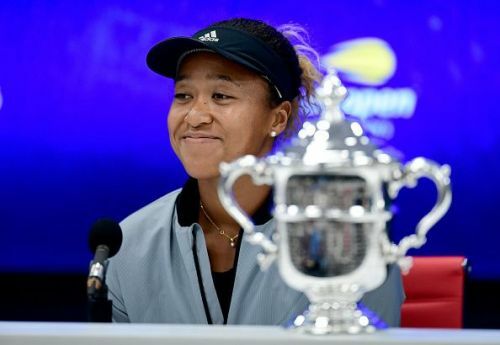 Osaka cruised to victory, ending up in tears at the podium having denied her idol 24th Grand Slam. “Because I know she really wanted to have the 24th Grand Slam, right? Everyone knows this. It’s on the commercials, it's everywhere,” she apologetically said. Her conduct and composure, in spite of all the drama during the match, was exemplary. She handled herself graciously, despite being at the receiving end from the Flushing Meadows crowd. Osaka is the first Japanese player to win a major grand slam. Japan is the land of rising sun; it has found a rising star too. The success of Naomi will undoubtedly inspire many across the globe to take up tennis. As tales from sports always has. And one day, we may see another young player realizing her dream playing against Osaka- or probably may exceed her achievements. Meanwhile, let Naomi bask in the glory of her Grand Slam victory, for Serena it’s time to reflect back on transgression and her conduct.